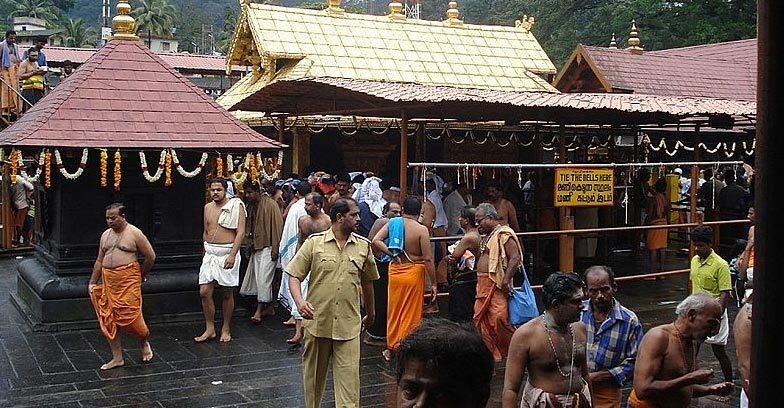 Can parties use Sabarimala issue on elections? What does model code say? Model Code of Conduct bans "appeal on basis of caste/communal feelings of the electors." Sabarimala temple. File photo. Source: Wikimedia Commons. Kerala Chief Electoral Officer (CEO) Teeka Ram Meena’s announcement on Monday that the commission will “book case” against those who use Sabarimala controversy in the election campaign, courted controversy. “In the name of God, or by citing religious things or misinterpreting the Supreme Court judgement, if somebody is trying to do that, it is a clear violation of model code of conduct. We are going to book a case, (sic)” he said. The BJP and Congress, who spearheaded the protest against the state government over the Supreme Court verdict allowing women of all ages into the Sabarimala Ayyappa temple in Pathanamthitta district, vociferously reacted against the CEO’s comments. BJP state general secretary K Surendran on Monday said BJP will use Sabarimala in the elections. “No one has the right to say Sabarimala issue should not be used in the election campaign,” he said. KPCC working president K Sudhakaran said that the Congress will seek legal solutions if CEC does not change its stand. Former BJP president Kummanam Rajasekharan also came down heavily on Election Commission over its comments. CPIM state secretary Kodiyeri Balakrishnan, however, said that the commission was only reminding about the Model Code of Conduct. The restrictions on invoking religious sentiments during elections are described at several places in “Manual on Model Code of Conduct (For the guidance of political parties and candidates) & other related guidelines,” published on March 2019. In Dos and Don’ts section, two points listed under ‘Don’ts’ are relevant to this context. “(ii) No appeal on basis of caste/communal feelings of the electors. Not just political parties and candidates, campaign by any person or organisation on religious grounds are restricted. “Subject: Election related campaign activities undertaken by persons other than political parties and candidates-reg. The commission warns action against violation under Section 125 of the Representation of the People Act, 1951 (offence of promoting enmity between classes in connection with the election).